The results are part of a series of alarming findings published in ‘Only Canadian: The Experience of Hate Moderated Differential Citizenship for Muslims’, a new research project carried out by the IHRC. 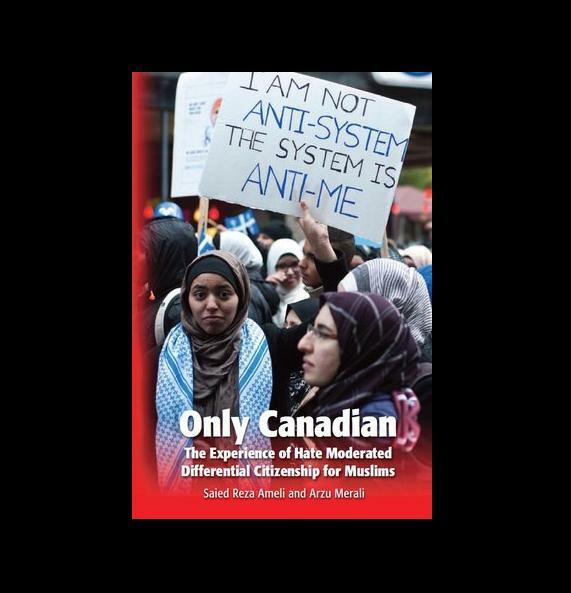 The work is the first that assesses Muslim experiences of hostility and discrimination in Canada and part of a series that has covered the UK and France. are structurally rooted and pervasive in Canada affecting everything from everyday social interaction to education and employment. Nearly 62% of respondents in the research survey said they have seen policies or practices at work, school or business that excluded or negatively affected Muslim people. Over a third said they had experienced job discrimination based on religion. A further 67% said they believed that Canadian politicians condone discriminatory acts against Muslims and almost as many (62%) have heard Islamophobic comments made by politicians/high-ranking officials. The report argues that hate does not exist in a vacuum. An environment must exist so that perpetrators feel they have to act aggressively. The analysis is based on the notion of a hate environment created by hate policies and negative representations, resulting in a hated society, the hated society being Muslims and the majority being the hating society. The report also finds that since the events of 9/11 Muslims in Canada have been subjected to an increasingly security-driven discourse and made the often innocent targets of draconian anti-terrorism legislation. Despite various avenues of legal redress being available to them, Muslims have found that the legislation that is designed to protect their rights does not work for them.